McLeod County is a county located in the state of Minnesota. 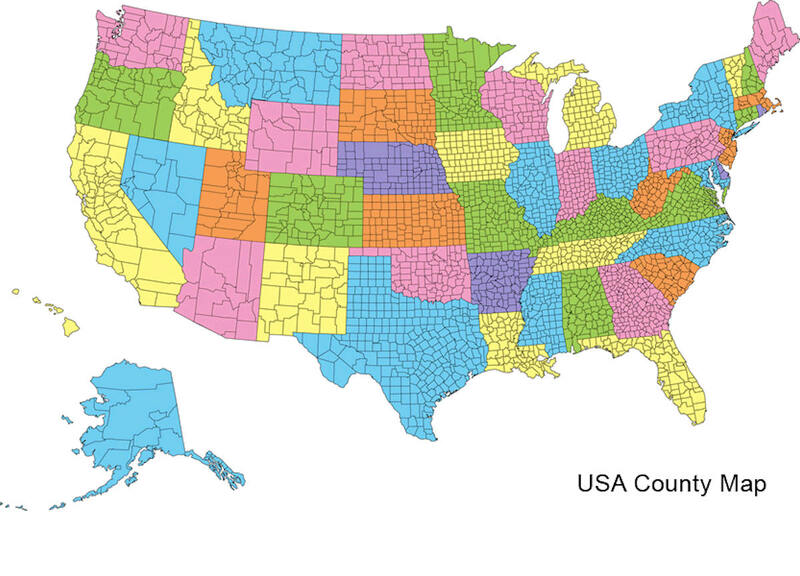 Based on the 2010 census, the population was 36,651. 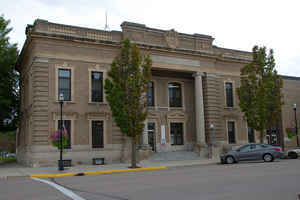 Its county seat is Glencoe. 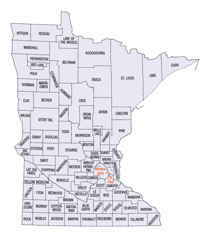 McLeod County comprises the Hutchinson, MN Micropolitan Statistical Area and is included in the Minneapolis-St. Paul, MN-WI Combined Statistical Area. The county was named after Martin McLeod, a Canadian-born adventurer who became a fur trader and later was elected a territorial representative (1849-1856) in Minnesota. As a young man, he was part of the notable James Dickson 1836 expedition to the Red River of the North, a journey recounted in his Diary of Martin McLeod, a manuscript held by the Minnesota Historical Society. For thousands of years the area was inhabited by indigenous peoples. At the time of European contact, it was the territory of the Dakota Sioux. As reported by the Census Bureau, the county has a total area of 506 square miles (1,310 km2), of which 491 square miles (1,270 km2) is land and 14 square miles (36 km2) (2.8%) is water. 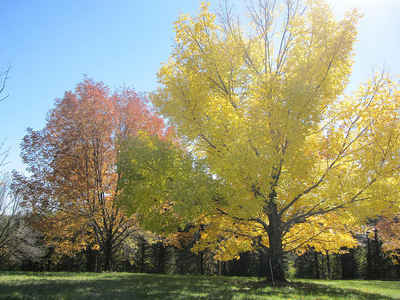 McLeod is one of seven southern Minnesota Counties with no native forests. Only savanna and prairie soils exist in McLeod County.